I was left an inadequate share of my father's estate for my needs. 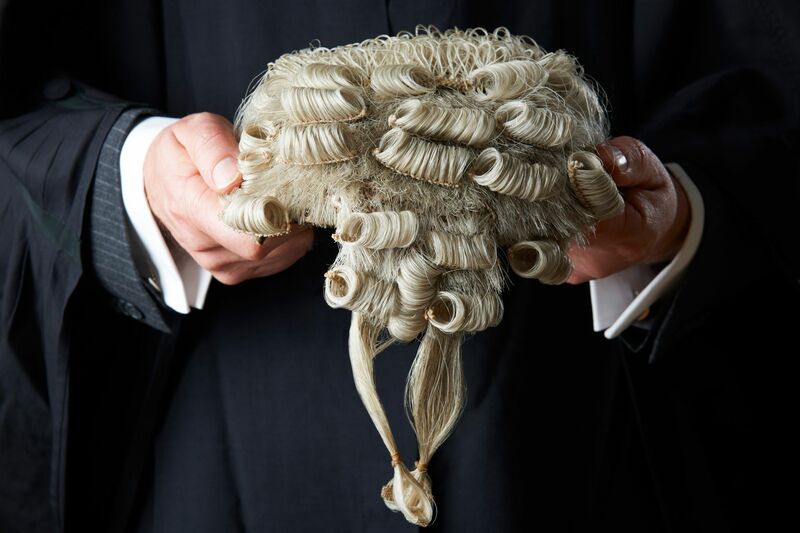 I contacted Kim Morrissey first, rather than a solicitor, as I know a barrister is almost always required in a will dispute case, and I wanted to have a barrister working for me in whom I had complete confidence, from the beginning. I achieved a very good outcome at the hearing, which bettered what I received under the will, and the offer from the executor of the estate, made at the mediation. I found Kim very competent in his preparation of my case, negotiating on my behalf at the mediation, and in his representing me at the court hearing. He is approachable, has good communication skills and is easy to deal with. I contacted Kim Morrissey, barrister, from his website, and I was very pleased with the outcome of my case and the service provided by him. My family and I live in Brisbane and we were seeking advice about a complicated will dispute over a deceased estate. I knew that we would need a barrister for this will dispute, and a solicitor. Although I had some experience with solicitors, I wanted to be sure we had experienced will specialists for this job. i) We were able to satisfy ourselves from the very beginning that our claim would be properly managed. ii) Kim was able to refer us to a very experienced will dispute solicitor, that he had previously worked with. iii) We were reassured that Kim and the solicitor would work together as our team in our best interests. iv) I flew to Sydney before the proceedings began, I met with Kim and the solicitor face to face in Kim's chambers in Phillip Street, and we immediately established a good working relationship which lasted during the whole of the case. Although our case was settled after a mediation, and did not proceed to a court hearing, I am confident that Kim as our barrister, would have provided us the best of service in court. I am an attorney-at-law in Holland and advised my client on Australian international private law and the material law of NSW with regard to the possibility of filing a claim on a certain deceased estate. I contacted Kim Morrissey, will specialist barrister to advise further and, on behalf of my client, make a family provision claim on the deceased estate under the Succession Act 2006, NSW. Kim responded to me very promptly and efficiently, and I was reassured by his competence. Proceedings were commenced in the Supreme Court of NSW, which resolved very satisfactorily for my client. There was great teamwork between Kim, the Sydney solicitor he put me in contact with and myself. They were very professional and I enjoyed working together. I always felt my client was in good hands. As the executor and beneficiary of my late Father’s estate and sole carer for my demented Mother, I was completely thrown when I received notice that my estranged brother (of 17 yrs) was looking to contest my Father’s will. As my Solicitor did not specialise in this field, I searched the internet for someone that I could approach that would help me defend my Father’s will and I found Kim Morrissey’s website. I sent Mr. Morrissey an email briefly outlining my situation, and he kindly responded with a phone call that quickly put me at ease. I felt comfortable speaking to a professional with such vast experience which reassured me I had chosen the right person for my legal advice. Mr. Morrissey’s advice was sound. I had received numerous letters threatening court action and requesting cash settlement, but Mr. Morrissey felt that we should stand firm and call their bluff. He felt that their case was an extremely weak one with no legitimate claim. He was right. Their claim was not lodged and now I can look forward to caring for my Mother in her final years. I contacted Kim Morrissey, barrister, will specialist, about proceedings which concerned a trust under a will involving my disabled sister who I care for. Until then I simply did not know who could help me. Kim immediately reassured me and introduced me to a good solicitor, and they both speedily brought the matter to mediation, where I received a good outcome. Final orders were then made in the Supreme Court of NSW. Although I had a good relationship with my step father, for reasons unknown, he left his whole estate to his biological son. I emailed Kim Morrissey, disputed will specialist barrister, because I wanted to know from the very outset, my chances of success in making a claim for provision, from an expert with 38 years of experience of appearing in contested will cases. Kim put me in touch with a wonderful solicitor who also specializes in disputed will cases, and they finalized my claim very successfully within 26 weeks. My legal costs were very reasonable, and they were paid from the deceased estate. I have sufficient to finish off my house, purchase a car and make life comfortable. I live in London. I emailed Kim Morrissey, specialist Wills barrister in Sydney, in April 2012, after Dad died in March leaving me nothing. Kim explained the process, and immediately put me in touch with an excellent experienced Sydney solicitor, who commenced Supreme Court proceedings, and briefed Kim. The case did not settle at mediation in August, and was listed for hearing in December 2012. Kim then conferred with me in person in London. In December I received an order from the Court, giving me satisfactory financial provision. I also believe I have a form of recognition of my rights as a good son. Having a specialist barrister involved from the outset really helped. P. Morrison - Harrow, U.K.
We are pensioners who were appointed executors of our friend's will. She left her share of her small residence and some money to her very poor relatives who live overseas. A claim was made against her estate by a person who had lived with her, a very long time ago. It did not settle at mediation and we were about to throw in the towel. We contacted Kim Morrissey, barrister, wills specialist, who took it over, and worked with our solicitor. Kim came highly recommended to us, we cannot speak highly enough of the excellent service and representation, as the case went on to hearing at the Supreme Court in Sydney. We are very happy with the outcome as most of the estate has been saved. I am very happy with all the assistance my barrister Kim Morrissey has given to me. I was abandoned by my parents at the age of 16 and left to look after my brothers. My grandfather helped us, and became a substitute father. When he died I was left out of his will. I made a claim against his estate as I am a pensioner and I have nothing. The claim settled at mediation and I am now able to help my young children. I am very grateful to Kim Morrissey, and my solicitor Greg Smith, who managed my claim competently, and always treated me with compassion and courtesy. I was put in a very difficult position when my husband died prematurely after a happy marriage, and although he left me most of his estate, I did not have the security of the family home for myself and our children. My excellent solicitor briefed Kim Morrissey, barrister, from the outset. The case was conducted very efficiently and competently, and it resolved at mediation on very favourable terms. I found Kim to be both competent, and reassuring, and I was grateful to have the benefit of his decades of experience. A.Goudis - Blue Mountains, N.S.W. I was left with very little in my father’s estate, even though I was on good terms with him. I am unemployed, my wife suffers from a very serious illness, and we have a young child. I contacted Kim Morrissey, barrister, who referred me to a very good solicitor. My claim for provision resolved at mediation on satisfactory terms. I felt very confident with Kim from the outset, and I was very grateful to have him on my side as the representatives for my father’s estate fought the case very hard. R. Konarski - Gundaroo , N.S.W. I live in the U.S.A. I did not receive a property settlement at the time of my amicable divorce in Australia from my husband over 20 years ago, and we remained on good terms until his sadly premature death. He left a very valuable estate in N.S.W., but nothing to me under his will. My very helpful solicitor, George Szabo, briefed Kim Morrissey, barrister (disputed will specialist), and they worked well together to get me a very good outcome at the contested hearing. I am very grateful to have had a barrister managing my claim from the very beginning, through mediation, and onto the hearing. I feel that I would not have had a positive result without Mr. Morrissey as he worked so diligently on my case. He is exceptionally talented in his field and provided me with outstanding advice, support and kindness. Adele J. Milewski - Detroit U.S.A. I contacted Kim Morrissey, barrister, after getting in touch with three firms of solicitors who refused to act for me, because my case was either too hard (including the lateness of my claim), or because I would not be able to pay up front. I am a single parent, with no assets. Kim referred me to a very competent solicitor, and then took my case all the way to a Supreme Court hearing, after which I received a satisfactory outcome. I was left a very small amount in my father's last will. I live in a boarding house and I needed security of accommodation. I contacted Kim Morrissey, barrister, who put me in touch with an excellent, experienced solicitor. Kim appeared for me at the mediation and I was able to obtain a sum of money six times the original legacy which will enable me to buy a residence and provide security for my future. I recommend getting a barrister involved early in the proceedings. Henry S. - Sydney, N.S.W.